This entry was posted on July 15, 2014 by Jessica Anderson. Welcome Lori to the Trophies2Go Team! Welcome our newest team member, Lori N! Introducing our newest team member, Lori! Lori joined our Trophies2Go Production Crew earlier this summer. Along with Laurie W, Lori N will be one of our talented laser ladies, creating beautiful, artistic, expertly etched awards with our laser engravers and sandblasters. 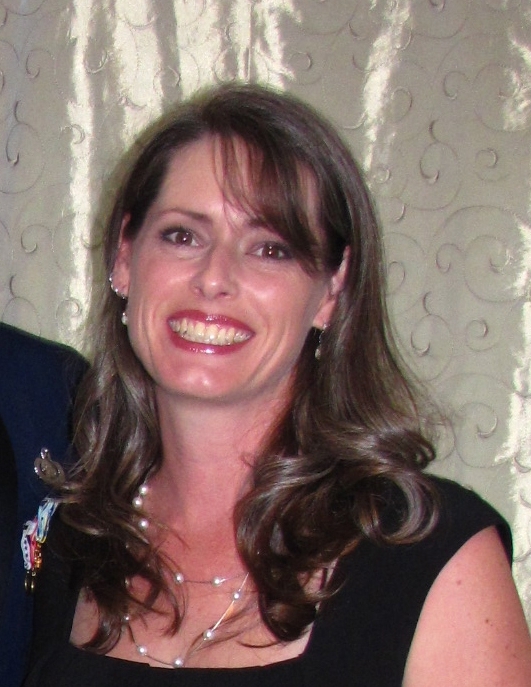 A California Bay Area native, Lori has lived all over the country supporting her husband, who has served our country in the US Air Force. For the past 3-1/2 years, Lori and her family lived in beautiful Hawaii, where she ran a trophy shop in Oahu. With a background in graphic design, Lori is a skilled laser engraver and loves helping her customers create unique trophies and awards. This summer, Lori's husband retires from the Air Force, and the couple with their 2 children moved to Western Washington. Lori decided to find a job doing what she loves and was connected to our President, Jeff. After a big move to the mainland, Lori now joins the Trophies2Go team! Lori is passionate about her family, especially her kids. Chloe, age 19, is a sophomore in college and Jacob, age 16, is a sophomore in high school. Her family is her world! Welcome Lori - we are glad you are here!